A forgotten diary, lost for forty years, reveals the story of a rediscovered loved nearly lost in 1999 Paris. 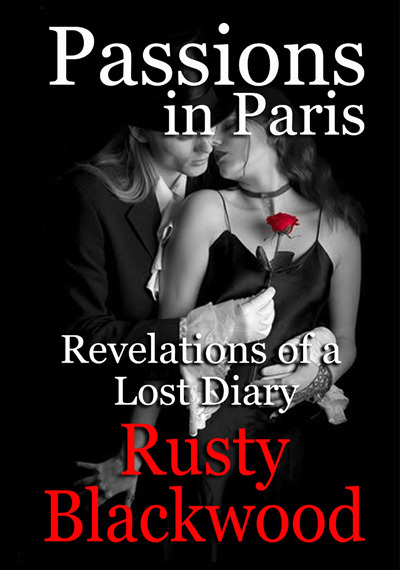 An unforgettable romance filled with danger, intrigue, and a love without boundaries, Passions in Paris: Revelations of a Lost Diary tells the story of forbidden love, salacious adultery, cunning jealousy, and requited passion. This complex and stirring story, revolving around star crossed soul mates, Canadian author Joy Wychmere, and Irish actor Cullen Malone, tells how their immeasuable love is put to the test by three vindictive people, the worst, namely Philippe Robealard, a delusional, misgided homosexual artist who is determined to make the unsuspecting actor suffer for stealing the man he loves, until he has paid in full with his life. Joy and Cully battle through a series of misunderstandings, embarressment, torture, and injury until Joy is left fighting to survive a direct gunshot, while Cullen is given the choice of consuming a bottle of barbiturates - certain to take his life - or lose Joy forever if he does not. If this is not enough, the trapped couple's fate grows direr when fire is discovered raging toward them. Endurance and determination is stretched to the limit, asking if love truly can survive all odds, and time.